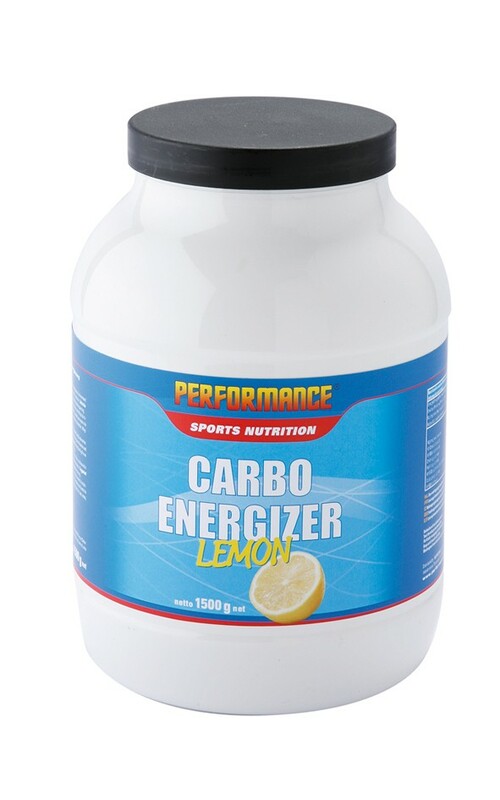 Carbo Energizer contains 3 different kinds of carbohydrates together ensuring a permanent supply of energy in the short, medium and long term. With its perfect combination of 75% of complex and 25% of simple carbohydrates, it is the perfect supplement for the endurance athlete! The simple carbohydrates give energy on a short term, the complex ones on a long term. In the body, both are stored as glycogen in the liver and muscles, where they are used as an easy approachable supply of energy. Scientific research has demonstrated that nutrition, rich in carbohydrates, can enhance the glycogen supply in the liver and muscles. In this way, the performance and the duration of the physical exercise can be improved. Carbo Energizer is a combination of maltodextrine, dextrose and fructose. Maltodextrine belongs to the group of complex carbohydrates, but is absorbed quicker in the digestive canal than the complex carbohydrates from our food and is therefore an ideal source of energy for athletes. Dextrose and fructose are simple carbohydrates that are quickly absorbed by the body (fructose a bit slower than dextrose) and deliver energy on a short term. Carbo Energizer contains the right combination of these energy sources and is quickly absorbed thanks to an additional vitamin and mineral mix. It is easy to digest and it mixes smoothly with water. Due to the complex carbohydrates, the Carbo Energizer, unlike other sports drinks, doesn’t give a sticky feeling in your mouth. In other words, Carbo Energizer is the ideal energy drink for the athlete who wants to reach a maximal performance! Suggested use: Mix 75g of powder with 500ml of water or orange juice. Recommended daily portion: 150g. To use before, during and after training. Flavours: Orange, apricot, lemon, forest fruit and blood orange. Packaging: Available in a pot of 750g and 1500g. Lemon and bloodorange are available in sachets of 50g.